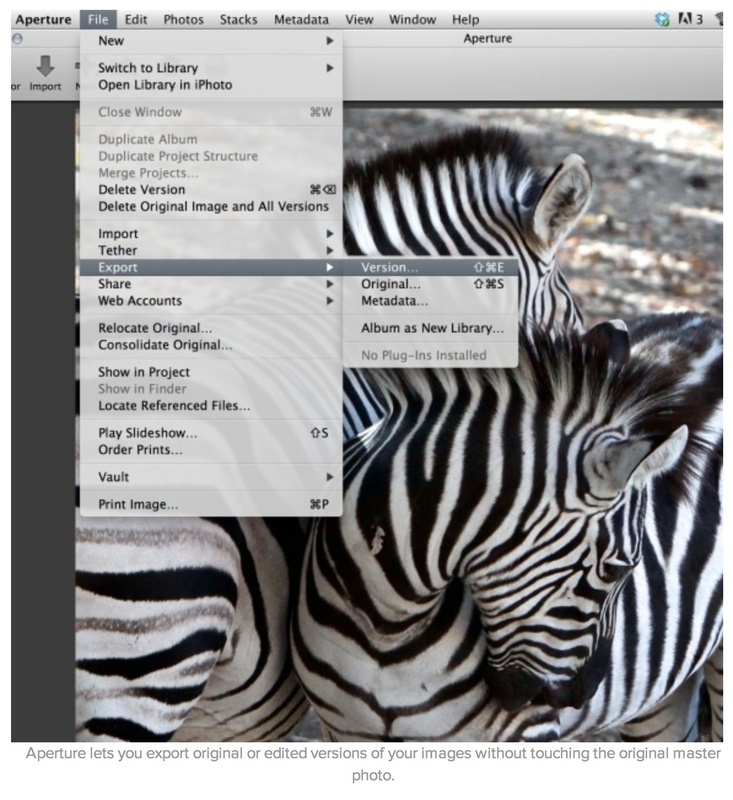 Think of Aperture as a vault that, among other things, stores and protects your images. And you can export versions of those masters in a variety of formats and configurations. In my Macworld Magazine article, How to get your pictures out of Aperture, I show you how to set up a custom export preset to the exact specifications you want. Aperture then makes a digital copy of your photograph, including any image edits, author's data, and format changes you've specified, and places it in the location where you've instructed. It's a great feeling knowing that your original image is safe, yet you have all of these options for copying it. This exporting article is the first in a series that will include image editing tips, organization, and more. If you have a specific request, let me know. I'll take a close look at it. To learn even more about Aperture, check out my Aperture 3.3 Essential Training (2012) on lynda.com. Also, take a look at our Aperture 3 Learning Center. Tons of free content about how to get the most out of Aperture.